After the dog experience, I knew it was time to start researching options for night lights that would emit a softer light in the night so that I was able to still see my baby and ensure a proper latch, but not have a light that was too bright and overstimulating for the wee hours of the morning. My research led to me to nursing lights! Have you heard of them before? Don’t let the term “nursing light” fool you! These lights are not just exclusive to nursing families and they can be used during any bottle feeding time, or during any non-feeding wake up time as well. Some can even be used as a regular night light for toddlers. The Born Free nursing light is a great option and the one that I ended up using. This night light is light-weight, affordable, and low profile. It just clips to your shirt or bra and emits just the right amount of light to see your baby while nursing. What we love about this light is that you can also set a nursing timer for 5, 10, 15 or 20 minutes that makes it easy to track feedings. The RTSU Bedside Lamp isn’t an actual “nursing” lamp, but it can conveniently be placed on any surface and turned on just by touching it. What we love about this is that you can adjust the brightness just by tapping it. Believe it or not, there is actually a nursing headlamp! The Sweet Beams nursing headlamp provides a great hands free and dim light that can be used during those late night feeds. This head lamp has two modes so that you can easily adjust the brightness and it is very lightweight. This is a personal favorite of mine because it is motion activated with a soft yellow light or white light option. What we love about this is that you don’t even have to remember to grab the light, or turn it on because let’s face it, when you are sleep deprived, simplified is best! The LC-Dolida light is a great option to use as a nursing light for those late night sessions! The OMEET kids plug in light is great to transition from nursing to a night light for your little one because of its cute owl shape! This light option is great because it is also motion-activated for convenience and its soft glow makes it perfect for night feeds. As you can see, there are quite a few different options for a nursing light and these are just a few of our favorites! 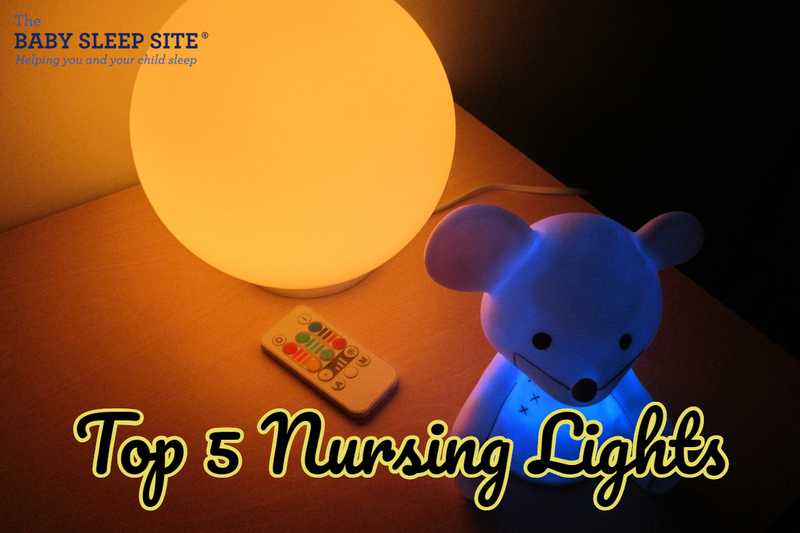 Do you have a night light or nursing light that you use? Tell us all about it below!